While the other four categories contain bowlers who standout as obvious choices, selecting the most textbook bowling action among right-arm fast bowlers is a much bigger challenge. If Michael Holding's languid run-up earned him the famous moniker of 'Whispering Death', Malcolm Marshall's lithe stride enabled him to outsmart even the most accomplished of batsmen. Then, there are the likes of Sir Richard Hadlee and Dennis Lillee who embodied technical perfection to the core. 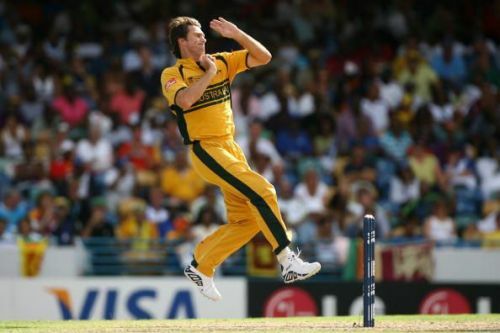 However, Glenn McGrath gets the nod for having the most easily repeatable action among those of his ilk. The lanky McGrath limbered towards the batsman with the stealth of a predator fixating on its impending prey. Without deriving thrust solely from his shoulder muscles, almost every part of his body would be in perfect synchronisation when he approached the delivery stride. From then on, the manner in which he effortlessly released the ball spoke volumes of his unwavering control. In the modern era, no fast bowler can claim to have exploited and exposed the batting techniques of batsmen as much as McGrath did. Much like Marshall and Hadlee before him, he probed his opponent's patience as well as application by targeting the corridor of uncertainty on a regular basis. His tally of 563 wickets remains the most by any seam bowler in the history of Test cricket.